Hey all! Here in our part of the world, we are in the grip of weird winter weather. Yesterday was beautiful and sunny with no clouds in the sky (YAY!!!) and today is socked in with drizzle that is kinda icy [Yuck]. I grew up in Colorado, which geographically is part of the high plains; the altitude and dry conditions make for long, long stretches of sunny skies. I got used to being able to see from horizon to horizon growing up, so sometimes not being able to see more than a quarter mile down a road has been an adjustment. Plus, experiencing long, long stretches of gray skies has also been a challenge. It’s not just me, either. Humans like being able to see what’s coming down the road, both while on the road and metaphorically. When the future is uncertain or dimly seen, we get a bit stressed. The three passages for today all have references to vision being clouded – by misunderstanding (2 Corinthians), or sudden wind storms (2 Kings), or dazzling white garments and supernatural appearances and overshadowing clouds (Mark). While Elisha’s and the disciples’ experiences are unique, we all know what it’s like to misunderstand and be misunderstood, clouding comprehension and forward progress. Hopefully, using the suggested Smarts will help clear up preaching and worship plans! Let’s go find out how. Elijah is connected with some pretty impressive weather events; thunderstorms, earthquakes, firestorms, and whirlwinds. Also, chariots of fire! 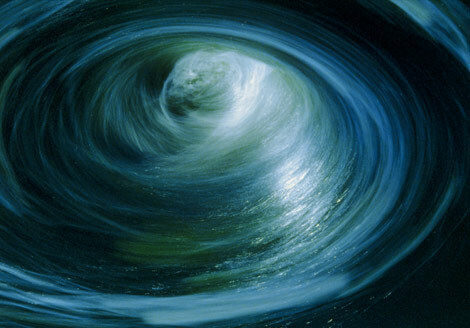 We offer links to images and videos of whirlwinds as illustrations in both EYE and NATURE smart. If you try the special effect for EYE smart, be certain to have towels or plastic sheeting on the floor, and if you have folks who sit up front (really? ), you may want to alert them about flying fluids a la Gallagher. PEOPLE and SELF smart illustrations are all about interpersonal attachments, and we suggest comparing the relationship Elisha and Elijah have to your own relationships. The entire passage is lyrical, so in MUSIC smart, we run through how we see phrases and themes in the text. We also suggest some instrumentation to punctuate them. A tornado is a whirlwind. To demonstrate water separating, try this video from the Slow Mo Guys, or this one of water splashing. Elisha’s three declarations are the chorus or hook of a song and the separation at the end is the coda. This whirlwind looks a bit like a worm hole. We used to call these types of whirlwinds dust devils. A campsite that got swept up by a whirlwind! Is Elisha’s attachment to Elijah like baby who is going through separation anxiety? We think the choice The Lectionary Committee made by selecting this passage to go with 2 Kings and Mark is pretty obvious, what with the references to obscured vision, glory, and unexpected arrivals and departures. For EYE smart, we suggest illustrating the passage with veils and veiled things (see also MUSIC smart), and using iconography and lamps for a special effect of illumination. The Greek word for “mind” in verse four is noema, which indicates reasoning or coming to a conclusion. Paul seems to be saying that unbelievers are unbelievers because they do not have all the information they need to make a decision about Jesus. Our MATH smart illustrations of computing, coding, or simple arithmetic show how making a decision about Jesus requires more than crunching numbers. For BODY smart illustrations and special effects, we look at physical reasons for limited vision. There may also be reasons in NATURE that prevent clear vision, as well. Is the inability to “see” like face blindness? Richard Strauss, Dance of the Seven Veils. Play the music in the background while you talk about what is being hidden or revealed. “Dark matter” makes up about 27% of the universe and shapes galaxies, but we have no idea what it is. What’s behind the veil? For obscuring effects, you could make a ninja smoke bomb like this. Or think about getting a fog machine and make your own cloud! Your insurance provider would probably insist on this option. Year B is Mark’s opportunity to tell the story of Jesus’ transfiguration. All the Synoptics record Peter’s blurted response to seeing Elijah and Moses with a dazzling Jesus, and they all record the three disciples being terrified. In MATH smart, we have links exploring how the brain processes information. Is this how Peter jumped to the conclusion to build shelters? The voice from the baptism shows up again and tells the disciples to listen to Jesus, so in MUSIC smart we offer an quote, and illustration, and a special effect showing the importance of learning to listen while playing music. For PEOPLE smart, illustrate that you can learn something about a person by the people who surround them. And in SELF smart, we think the bright light is key to seeing clearly and understanding not only who Jesus is, but who we are in relationship to him. The brain uses nodes and connections. Each node is information and the associations between them allow for meshing. This is a bit more complex description of how the brain uses information in “shared temporal context” from Princeton University. Learning to “listen for the bass” in music. You need a bright light to put on makeup. You also need a bright light for surgery. Image Credit: Copyright: mikekiev / 123RF Stock Photo. Used by permission.